According to some shocking news by English reporter Daniel Storey, Chelsea had already thought of everything with regards to Callum Hudson Odoi. They had made up their mind that he would remain at the Premier League club despite heavy interest from European giants. Bundesliga champions Bayern Munich were keen on signing the young sensation in the January transfer window but the Premier League club decided against letting their star winger leave London. Chelsea has enjoyed quite a successful start to the season so far as the Blues currently sit in fourth place on the Premier League table pushing for a Champions League spot. Maurizio Sarri has done quite a commendable job ever since taking over the reins at Stamford Bridge from fellow Italian Antonio Conte. The former Napoli master tactician has instilled his beautiful philosophy into the football club and his attractive brand of football has gained plenty of plaudits from pundits across the globe. This impressive football led Chelsea to the final of the League Cup where they will face Pep Guardiola’s Manchester City in the battle for domestic glory. 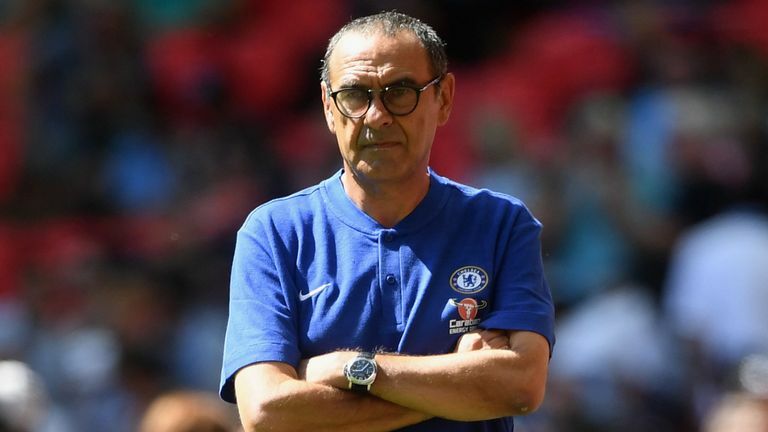 Sarri has the chance of winning a title in just over half a season with the club and must grab that opportunity. The Blues also managed to get past their Europa League Group Stage with ease and look like serious contenders to go deep into the competition. However, despite all these positives at the club, there has been a few negatives as well and one of them was the incident with teenage superstar Callum Hudson Odoi. The 18-year-old was absolutely superb during pres-eason where he showcased his ability to the rest of the world and was thought to be a real star for the future. His impressive dribbling skills along with pace and finishing abilities make him the perfect package but Hudson Odoi lacks regular football at Chelsea. There is no denying that there are plenty of clubs in the hunt to sign the talented attacker and one of those European heavyweights are German champions Bayern Munich. The Bundesliga giants were keen on signing Hudson Odoi in January but according to Daniel Storey, Chelsea was holding all the cards regarding a deal. Chelsea rejected Bayern’s offered bid of £35m for Hudson Odoi, who has just 18 months left on his current deal with the club but could allow him to leave in the summer. Next articleExclusive: Failed January Move To Now Happen This Summer?